Marketers know that social media is an important tool for any brand – Facebook and Twitter create direct dialogue between consumers and their favourite brands while images on Pinterest have been proven to drive sales as a direct result. But more is expected and retailers now have to offer everything from customer services to the next big thing in digital technology – all eyes are on Burberry come fashion week after all, even if most of us watching will never afford to buy straight from the runway. Brands are expected to be just as invested in their social media offering as their customers – and a hashtag on a print ad isn’t going to cut it anymore. With this in mind retailers have started integrating social media not just into their campaigns, but their stores and even their products. Below are 5 of our favourite examples of 2014 so far. 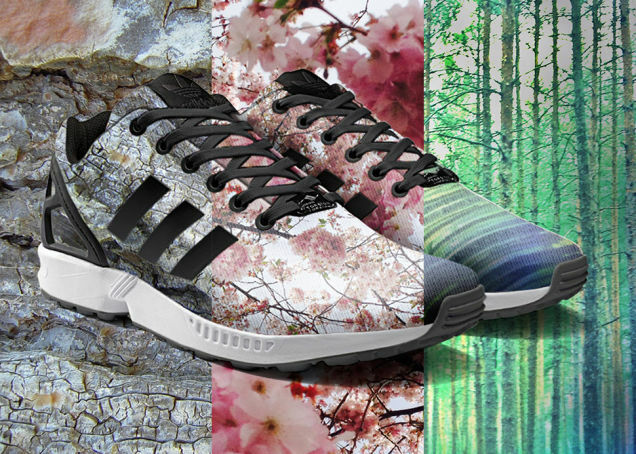 Technically it hasn’t been launched yet but later this month Adidas are set to give shoppers the option of creating their own fashion statement by adding their favourite Instagram pictures to ZX Flux trainers via an app. It’s a clever example of a brand leveraging the sheer wealth of social content already being created on Instagram and incorporating the consumer’s existing digital experience into their own products. An Instagram post announced this all the way back in May this year and while there has been no further information since we’re looking forward to possibly seeing our face on our feet. Marc Jacobs truly embraced social currency when he launched the Daisy Marc Jacobs Tweet Shop – first in Manhattan and more recently in London and Amsterdam. 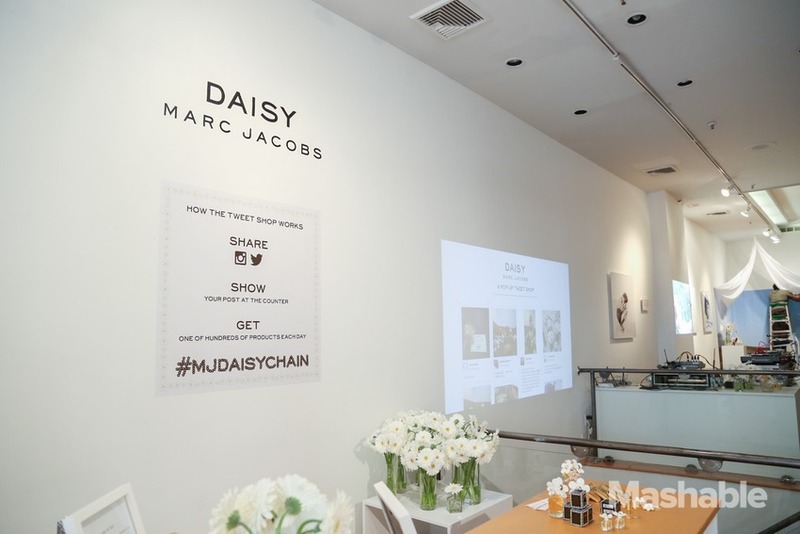 Fans were invited to visit the pop up shops to test the new fragrance line but no money was to change hands, instead a tweet or Instagram photo using the hashtag #MJDaisyChain was exchanged for samples, necklaces and even handbags. The Manhattan store alone drove over 13 thousand mentions on Twitter while the UK shop utilized large UK bloggers as in store representatives picking prize winners and driving social mentions. Tapping directly into the nations’ love of selfies (over 17 million are shared every week) French Connection launched #CantHelpMySelfie, an interactive selfie booth in flagships stores. All images taken were projected onto screens on rotation in the shop window giving shoppers five seconds of fame – and even more excuse to make sure they spent time picking out their favorite French Connection pieces for the photo. These screens also displayed the SS14 collection as modelled by fans with a social competition for fans to go head to head and curate the best selfies. With London Fashion Week just around the corner Topshop asked fans to share their LFW style across Facebook, Instagram and Twitter for the chance to get front row seats to a fashion show. Sort of. The final five winners actually viewed the show with a virtual reality headset that made them feel like they were sat with fashion’s finest – 360 viewing meant they could lookup to the ceiling and at the celebrities sat directly ‘next to them’ despite the fact they were in fact sat in the flagship store windows on Oxford Street. The Topshop fashion show featured consistently in the top five most talked about shows during LFW on social media as a result. Fashion brand Nordstorm has over 4.5 million followers on Pinterest and used this social following to influence not only how they curated content online but also how their store layouts worked. 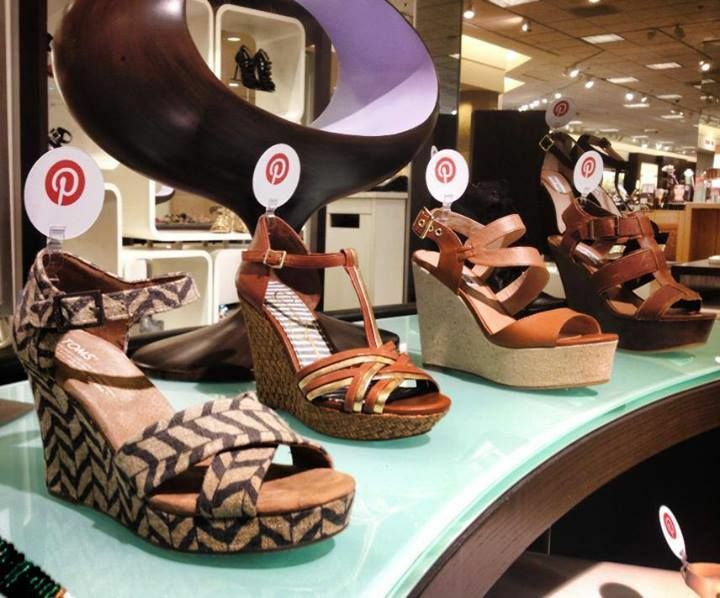 Originally tested in 2013, each store now features items that are most pinned displayed with large red Pinterest logos. Not only is Nordstorm evolving large social followings it’s demonstrating just how important those audiences are. An inshore app also allows the sales team to match popular pinned items with available inventory. What have been your standout retail campaigns this year? Let us know in the comments below.